Step into the quintessential Singaporean neighbourhood. An urban oasis welcomes you at Park Hotel Alexandra. 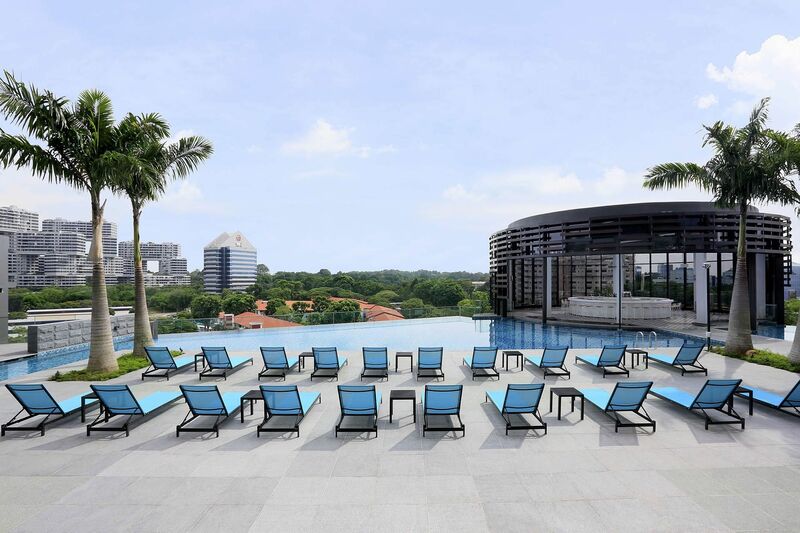 Set against the backdrop of majestic trees of The Southern Ridges and the heritage enclave of Queenstown on the other, Park Hotel Alexandra is a leafy oasis within urban Singapore. Located 10 minutes away from the CBD, Vivocity and Sentosa; a stay with Park Hotel Alexandra ensures you are close to all the action but without the hustle and bustle. With a lush location, fully equipped fitness center, great food and beverage options on site and outside, Park Hotel Alexandra is your home away from home. You get an exclusive 10% discount* off our rates when you book your stay through your mobile phone! *Mobile discount is automatically applied on eligible devices when making bookings online directly through our site! Book directly through our website and enjoy 7 exclusive privileges! Botanique, our versatile indoor function space that enjoys abundant natural light and an expansive view of The Southern Ridges, offers just the right setting to conduct effective and successful meetings. Impress your business associates and guests with an outdoor reception by the infinity pool on the Aqua Luna Pool Deck, or host an intimate soiree at Botanique that is set against a stunning backdrop of luscious greenery. Treat yourself to a restful stay in our Crystal Club Room, with complimentary WIFI, cable television and more! Experience warm hospitality at the award-winning Park Hotel Alexandra, an urban oasis at the city fringe. Stay in a peaceful neighbourhood in the heart of it all. Inspired by the lush surrounding greenery, all 442 guestrooms including eight suites are designed in elegant, soothing shades while the high-ceiling and full length windows provide ample natural daylight, allowing you to relax into the surroundings and take in the beauty of Singapore’s garden city landscape. We would recommend a stay at the Crystal Club floor which comes with access to the Crystal Club Lounge. Residing on the highest floor and opening out to a private outdoor garden terrace, the Lounge offers expedited check-in and check-out, all day refreshments, complimentary breakfast, evening cocktails and a host of other privileges.